This is a 4 year old calvados bottled at 40% ABV. 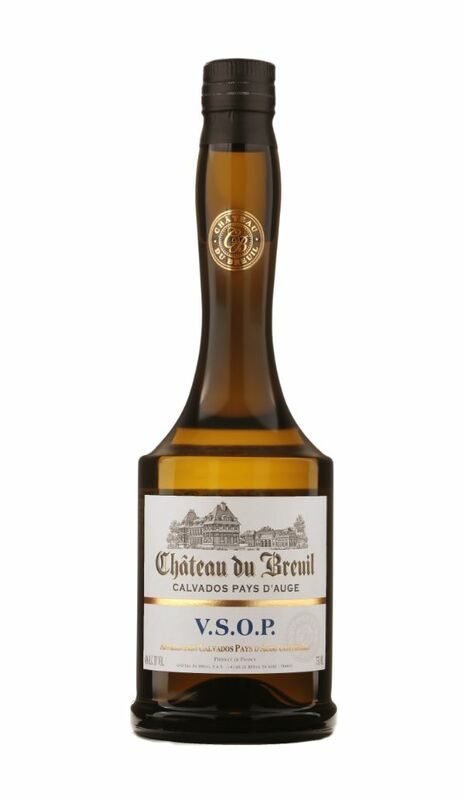 It is a young Calvados for our range. Fresh, tonic, refined, vigorous, fruity, it allows you to discover the “Appellation Pays d’Auge Contrôlée.” It contains all the fragrances of Normandy. The bottle is a registered design that belongs to our company. Its minimum of four years of ageing allows for suppleness and roundness.